Please can anyone help with advice. I will be collecting my puppy deerhound in early July and travelling from Loughborough to Devon. What size crate would anyone recommend for the journey? My first deerhound arrived as a Red Star Parcel form Scotland to Euston Station many years ago in the goods van of the train. My last deerhound travelled in the back seat of the car sprawled across my mother's lap. Any advice will be gratefully received please, is a crate the best option? 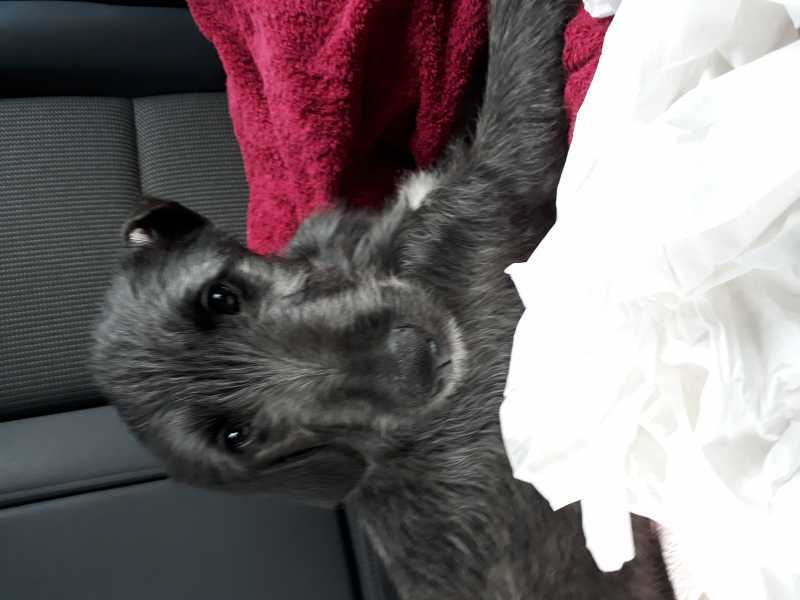 We picked up our Deerhound puppy in April and someone sat in back seat of car with her. She didn't move. Lincs to York. Towels and paper towels in case of sickness.